Syrian Civil Defence, also known as The White Helmets, are volunteer first responders working to rescue victims of bombing. To date they have helped save over 10,000 lives. 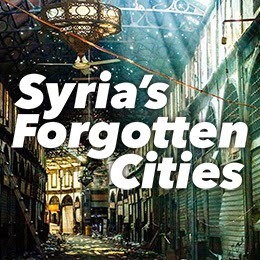 It’s a dangerous task: in Aleppo alone, 17 rescue workers have been killed. 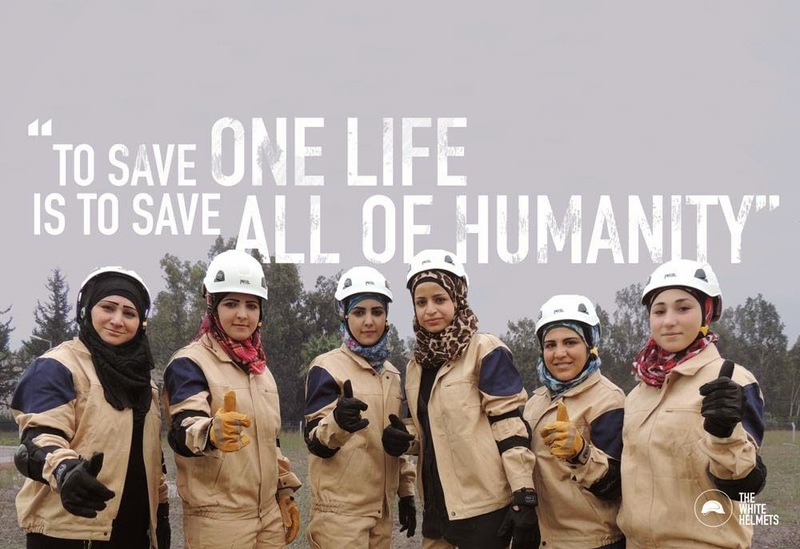 Now 56 women have trained to join Syrian Civil Defence. They need ambulances. 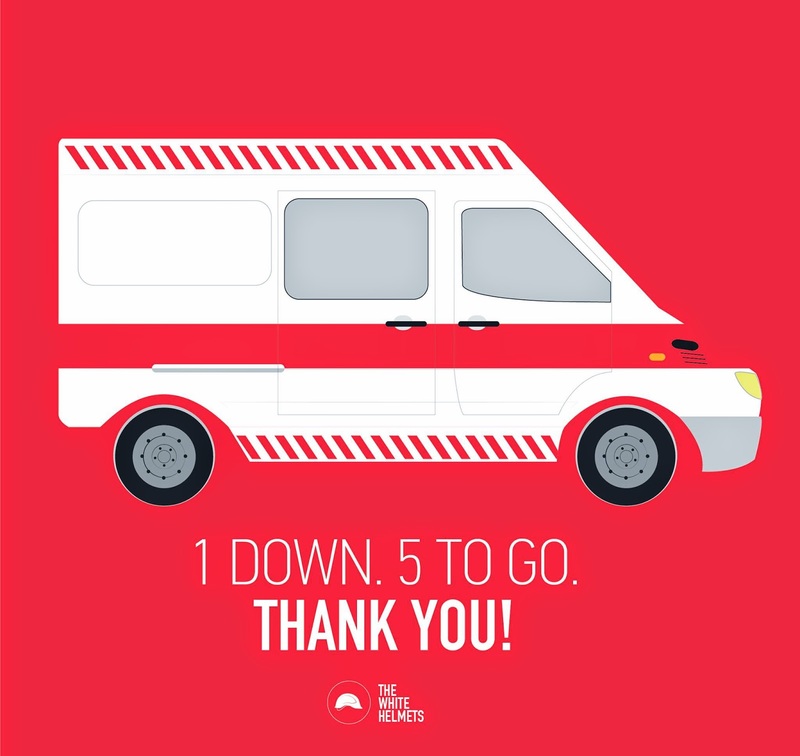 The Syria Campaign is fundraising to buy 6 ambulances at a cost of $90,000. So far they’ve raised just over $17,000. You can help here. 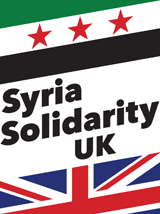 Website by the Syria Solidarity Movement UK. Powered by Blogger.